4-20mA Small Pressure Transmitter, BP15 series Diffused-Silicon Pressure Transducer, utilize newest technology, assemble high performance circuit. Small profile, easy to assemble,have strong capability of dampproof and anti-electromagnetic interference. Mainly apply in fields: air compressor, vacuum equipment, oil pressure equipment. Looking for ideal Small Pressure Transmitter Manufacturer & supplier ? We have a wide selection at great prices to help you get creative. All the 4-20mA Mini Pressure Transmitter are quality guaranteed. 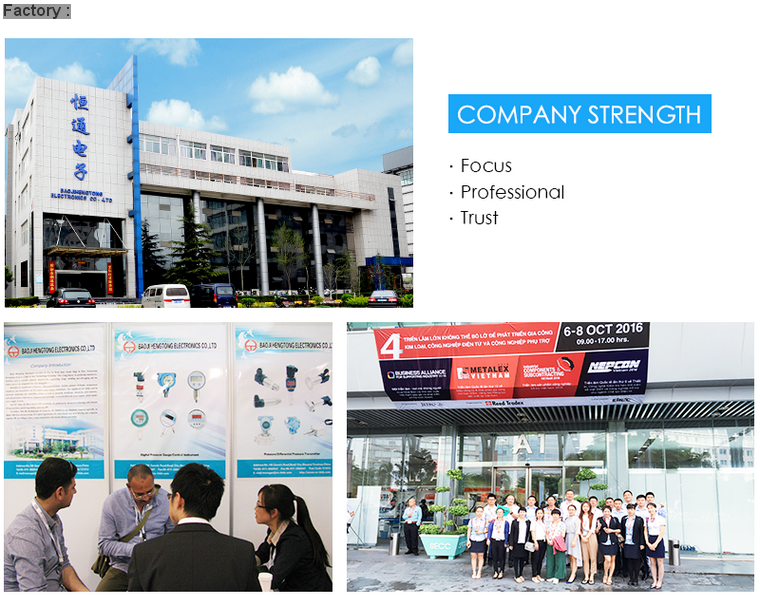 We are China Origin Factory of Diffused-silicon Pressure Transducer. If you have any question, please feel free to contact us.